March 22, 2016. 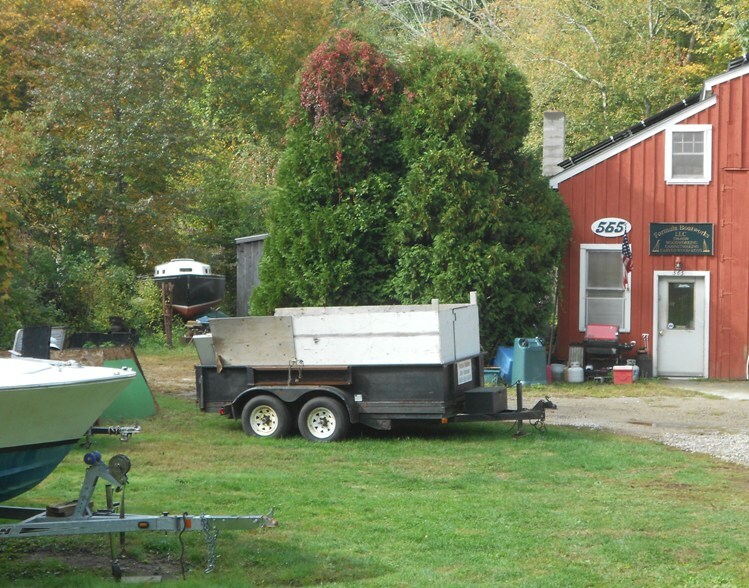 Larry Taylor has advised that Black Dolphin has left for her new home in Camden, Maine. Her new owner, Jamie Weymouth has formally checked in and we have set up a new page for him and his boat. Click here to go there. Black Dolphin left for Maine on Saturday. Jamie Weymouth who also has Dolphin is going to put her back together. His estimate is two years. Thanks again for everything you have done and are doing for the Dolphins. The website is a powerful tool. Three other people contacted me about Black Dolphin after Jamie. 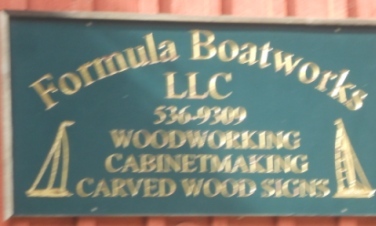 This boat was completely disassembled in 2012 to start a 50th anniversary rebuild and repower. Unfortunately, life got in the way and there has been no progress on the rebuild. I am losing my storage and would like to avoid having her destroyed and so am seeking someone who is interested in taking on her “renaissance”. Larry was one of the first Dolphin owners to formally check in with the website - April 24, 2007. His Black Dolphin was one of the early Dolphins built in 1962 by Lunn Laminates in Huntington, NY. She is now undergoing some rework including a new rudder and shoe. 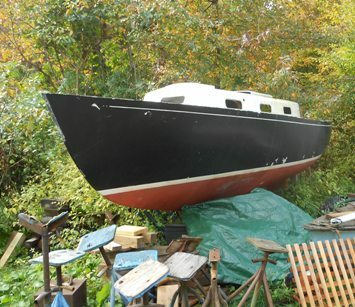 This boat was once owned by Lunn's Chief Engineer, Roy Berg, who got her because her first owner-to-be rejected her for some gel coat and other problems that are lost in the mists of time. Roy, who just was an engineer at Lunn at the time, got her at a very good price and fixed her himself. 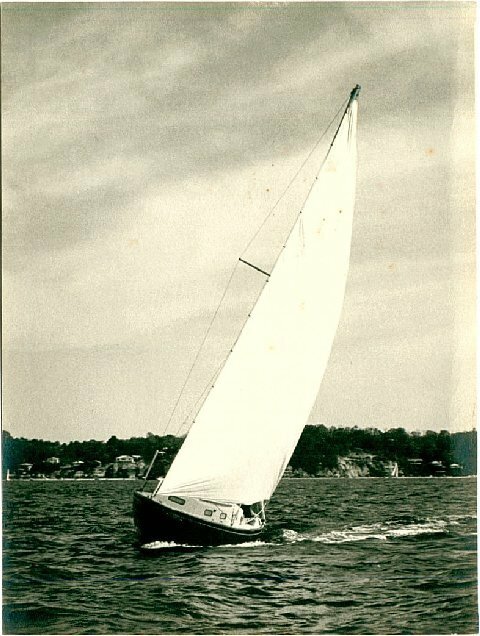 He had her for about 5 years, raced her on Long Island Sound, and took her to Maine with his family. Son Doug Berg has been in touch and promises to fill in some gaps in her story. Click here for more information on Lunn Laminates. And click here to go to Black Dolphin when Roy had her. 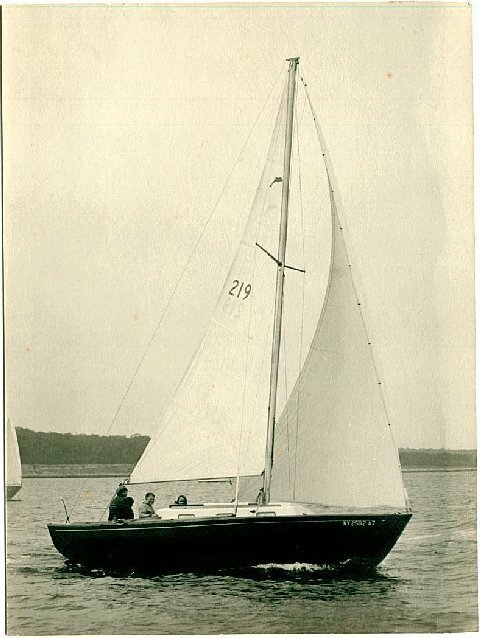 Roy sold Black Dolphin to Wally Strang who raced her for many years in eastern Long Is Sound and nearby waters. Black Dolphin has the original 8 hp Palmer one cylinder inboard but Larry does not use it. Instead, he has an outboard that hangs off the transom. Black Dolphin has a Builder's Statement from Lunn Laminates issued to her first owner, Roy Berg, dated January 3, 1962. The hull # given was #219. O'Day contracted Lunn to build 25 boats and instructed Lunn to start with 200 as their hull # series. So Hull # 219 was either the 19th or 20th boat built by Lunn. To see a copy of the Builders Certificate click here. 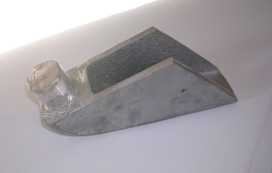 On March 12, 2008 Larry sent in a short email advising that Black Dolphin now has a new cast aluminum rudder heel shoe. This he found by being a faithful reader of the detail in the website. Forty some years ago Stan Barnes, former owner of Shamon, O'Day #25, had access to his father-in-law's foundry.. He made a mold for this heel shoe and your webmaster took a photo of one these rare castings in his Dolphin parts box. Click here to go to a larger image, and Shamon. December 12, 2008 - Doug Berg, son of Roy Berg, first owner of Black Dolphin sent in the following pictures. She’s undergoing a fiftieth birthday makeover. After a difficult start with another outfit, she is in the capable hands of Jimmy Hansen. Right now I hope she makes it through the storm. Webmaster Note: Sandy Cometh!!. October 14, 2015. There was an unexpected appearance of a Black Dolphin model (click here to check that out), now resting at Dolphin24.org central. This resulted in a need to see what was going on with Black Dolphin's restoration. Its been nearly 2 years since we have had an update. A couple of phone calls ended up on an answering machine so a field trip was called for. Black Dolphin is in Noank at Jim Hansen's Formula Boatworks in Noank, CT. No one was around so we are still waiting for a report on her status.